Lowell VIP Limos provides airport transportation to Boston’s Logan airport (BOS) and to Manchester airport (MHT) in New Hampshire. So, whether you are traveling for business purposes or vacation, we can provide you with airport shuttle service to and from any airport in New England. Everyone needs a reliable means of transportation, whether they travel often or occasionally. A reliable limo service will take down your reservation, send you a confirmation e-mail, and show up on time to take you to the airport. Lowell VIP Limos is the best limo company in Lowell providing you with point-to-point airport shuttle service. Our shuttle services are very convenient for busy individuals. It also eliminates having to pay high daily rates for the airport parking lot at Logan Airport. Our price will remain the same, no matter how much time it takes on the road. The biggest advantage of our services is that you will have a luxurious, comfortable and an affordable ride to and from the airport with our professional drivers. Give us your flight details and we’ll take care of the rest. We'll keep in constant contact with the airport for your flight arrival and departure. That way you’ll be taken care of on time. So, if you are traveling to or from Logan Airport in Boston MA or to or from Manchester Airport in NH we would love to have the opportunity to serve you. Fill out our request form with the time, date and the number of passengers or feel free to call us. ​With our extraordinary airport transportation services, your business trip or vacation starts from the time you step inside our limo. With our luxury airport service you will arrive relaxed, and comfortable. 3. The chauffeur will carry your luggage. 4. The chauffeur knows the directions to your destination. What you can expect form Lowell VIP Limos. o With our luxury airport limo service you will arrive with a sense of importance, Whether you are going on a business trip or vacation. You will arrive at the airport in comfort and make a strong statement to onlookers. Our pleasant and professional drivers will take care of all the driving making your trip stress free. You could even do a little business via cell phone while on your ride in or listen to some quiet music for relaxation. o Our airport shuttle services are punctual: you don't have to waste a second waiting for us; we’ll get you to your desired location on time. No more hassles of calling your limousine service to ask when they will arrive to pick you up or get you to your destination. Our motto is, “time is valuable” everyone’s time is precious and reaching your event on time is our priority for you. We will by all means, respect that policy, and will never give anyone a chance to complain. o Our chauffeurs are professional: before we hire our staff, we go through an interview; we check the driving license of the potential employee. We make sure they are dressed as per the occasion. We do everything we can to provide world class limo services to all our clients. o Our rates are reasonable and affordable: We don’t believe in cheap limo rentals because to us, cheap means you don’t service your vehicles regularly, you may not clean them thus not taking pride in what your vehicles look like. We care about our vehicles mechanically and take pride in their appearance. I’m sure you don’t want to arrive anywhere in less than a luxurious, clean and professionally driven limo with a driver that cares about you. 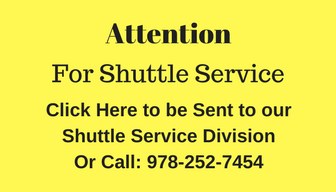 So, call our Airport shuttle division today or fill out our request for service form with your details of the service wanted and we will give you a quote. We are available by advance booking and on short notices as well. Why ask your family members to drop you off, when you can call Lowell VIP Limos and ask for our airport shuttle service, we’ll be there for you. Call us today, talk to our friendly representative, and get a quote. Hope to hear from you soon as we are eagerly waiting to serve you with the best! Give us a call, and we will be at your doorstep.